With a voice as powerful as it is smooth and an innate ability to weave words into songs that transcend generations and speak to the masses, it’s no wonder that Walker Montgomery is a star on the rise. 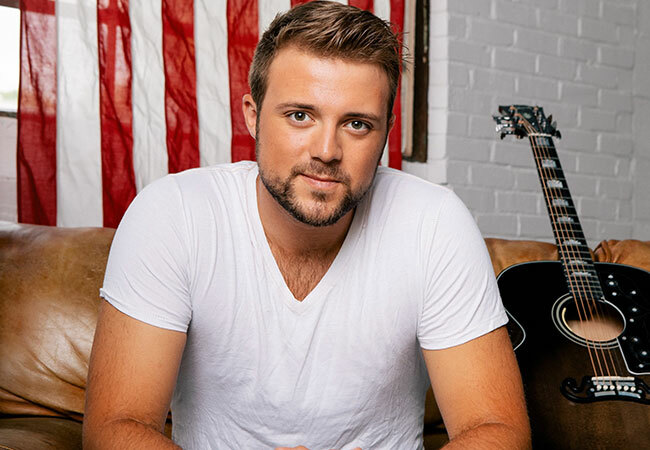 There’s no doubt he has some serious shoes to fill, following in the footsteps of his father, John Michael Montgomery, and his uncle, Eddie Montgomery, but the younger Montgomery seems poised to continue his family’s legacy. Almost instantly the tribute to the place he says made him into the man he is today became a local hit, playing in heavy rotation on Central Kentucky radio stations. This fall he used “Simple Town” as the title track of his debut EP, which weaves elements of Montgomery’s many musical influences together to create his signature sound and takes listeners on an emotional journey. Also included on the Simple Town album is his current single “Just Say When,” an emotional and relatable ballad that tells the story of wanting something – or someone - you know is bad for you. Written by Ross Lipsy, Houston Phillips, Taylor Phillips and Matt Roy, the message drew Montgomery in immediately. “The lyrics really hit you right in the heart,” he explained. Another song, which has quickly become a fan favorite with its nostalgic homespun message is “Just a Truck,” a song Montgomery was inspired to record because he so genuinely related to its theme during his own high school years. The variety of pace, sound and style throughout Simple Town is quickly becoming signature to Montgomery’s overall sound, thanks in large part to his parents exposing him to many different genres and styles of music during his formative years. While Montgomery is most often seen onstage playing the guitar, he also plays not only piano, but the mandolin (joking that “I’m from Kentucky, so you know I’ve got to play some kind of Bluegrass instrument!”). A songwriter for both himself and for others to perform, it’s with the help of those instruments that he often creates the initial melodies for his songs. Fans will likely get the opportunity to hear more of Montgomery’s work. He was recently signed to William Morris Entertainment, the largest booking agent in the world. Visit walkermontgomery.com to purchase Simple Town.